Link to exhibition at Midlands Art Centre: MAC In 2014, I began work on a two-year project with the charity, MacIntyre. The aim was to look at how, with the right support, people with learning disabilities and/or autism could live fulfilling lives. Throughout this time I saw hope and possibility for people who were being supported by knowledgeable and specialised care workers. It left me wondering what happens to those people who haven’t found this kind of support; the ones who slip through the net or whose disability isn’t seen as being quite ‘bad enough’ to need support. How do they cope with the daunting prospect of moving from childhood to adulthood in a world where you need to be able to manage your time, resources and relationships or face the consequences? 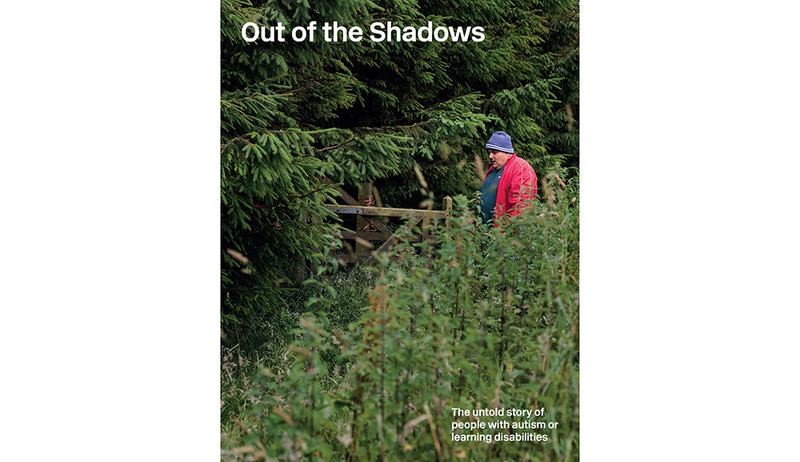 Out of the Shadows offers a very different view on the human cost of locking up people with learning disabilities and/or autism. The book, which is published by Dewi Lewis in partnership with Multistory, contains intimate and powerful photographs by Polly Braden, seven in-depth stories by journalist Sally Williams and three first-hand accounts. Together, their stories offer a valuable insight into how they ended up in prison and the challenges faced to find a permenate way out. This ties in with the 10th anniversary of the influential report No One Knows which highlighted shocking failings in the criminal justice system - yet nothing has changed. People with a learning disability make up 1.5% of the population yet 7% form the prison population. Ten people have shown courage in sharing their personal stories of how they came to be in prison. These stories are disturbing, moving and important in pushing debate on why there has been no change and why people with a learning disability are finding themselves incarcerated because of failings much earlier on in their lives. Multistory is an ambitious community arts organisation based in West Bromwich in the borough of Sandwell. They commissions acclaimed photographers, artists and writers to work with local people to tell their stories of every day life. Multistory is supported by Sandwell Council and Arts Council England. Thank you to everyone who was brave enough to share their stories and to Multistory for their support. We look forward to continuing our collaboration in bringing these issues to light.